This may seem a backward step from my WordPress theming projects, where I am trying to customize that at a per-site basis with just Custom CSS- I am working on a new one using the Galactic theme I have done for a few presentations rigged as a WordPress site (e.g. This is Not a Blog, Cool Web Stuff, a UDG Agora presentation at OpenEd15, etc). I like this because the Presentation Can Be The Resource Site, rather than separating slides from a collection of reference links. Anyhow, I stumble some into minor things I know I can tweak if I edit the theme. One approach would be to wrap the custom code into a plugin. But sometimes they are pretty minor, some WordPress actions I might need just like 5 lines in functions.php to make it happen. My example today is I want to use the comments form in one I am prepping for Friday tomorrow, but I dislike the default WordPress title for the comments box. I don’t want people to add/leave a reply, I want them to add more examples to my collection of “web tricks”. Why should it be so hard to change that title? All of the suggestions for how to customize this (and something I have done in my own custom projects) is to manually edit the theme files. If I did it as a plugin, I’d either have to hard code the changes I want, or battle with setting up an options screen so the custom text can be entered. Seems like a lot of work. 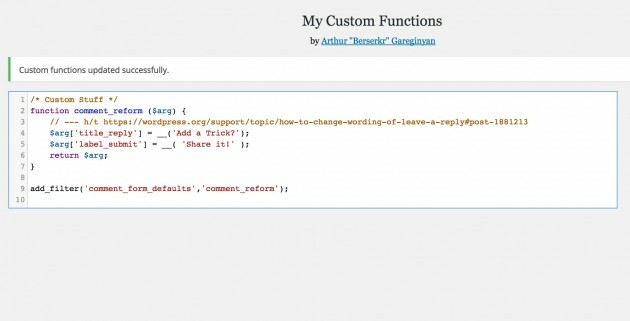 Enter a new solution, the My Custom Functions WordPress plugin – it does the same thing a lot of my modifications do, it just adds code to the theme’s functions.php set without having to edit it (and risk loss when the theme is updated- NEVER EDIT THE THEMES!). Now this does mean having to write code, so if this horrifies you, please exit the blog, now. Thank you. 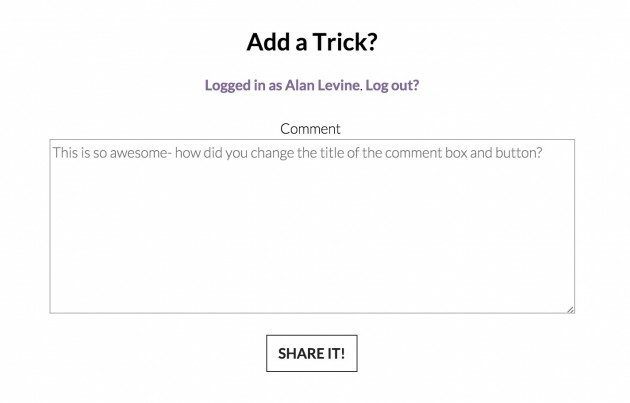 But I have now, in my dashboard, a place to add this small function which calls the WordPress thingy that generates the comment form, and changes not only the title, but the text on the menu. 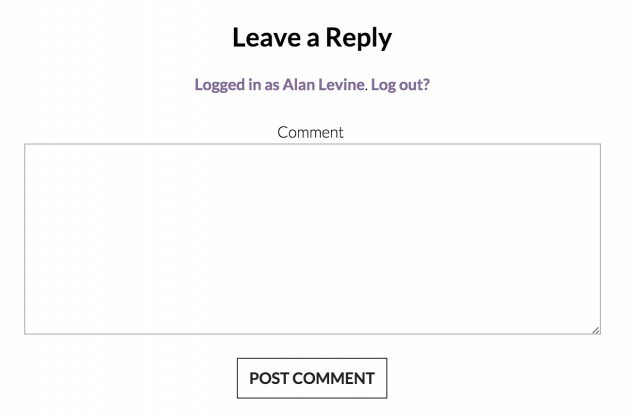 And now my comment form is displayed the way I want it. Now here is where it gets even better. In a multisite, if I did this via child themes, I would need different child themes if I wanted a different customization on the comment form. But with this plugin, it’s done at the site level, so I could have different custom code for the same theme on different sites. If your eyes are as glazed as the photo above of Princess Alexandrine, well sorry. But this is super useful and I am just starting to see possibilities. A lot of modifications I want for a site only involve adding stuff to the functions.php area (not changing any of the output templates). Anyhow, each time a scrape a tad deeper in WordPress, I find little interesting doorways. What a nice thing. The companion to the jetpack CSS editor which I’ve been finding handy especially on multi-site where u can’t add/edit themes. Could save a ton of time making a child theme for a few lines. It provides a visual interface for finding the elements to change (I usually use the Chrome inspector, but this is easier I have seen for people who get squeamish at code), and it has a syntax checker.